High Country Vacation Rentals - Radium Hot Springs, B.C. High Country Vacation Rentals, fantastic vacation rentals in the Kootenay Rockies! Kick back , stretch out and relax! That’s the way to unwind with High Country Vacation Rentals. When it comes to vacations, High Country Vacation Rentals are the local experts offering a variety of accommodations ranging from condos to townhomes, private homes and cabins in the Village of Radium Hot Springs. As a gateway to Kootenay National Park, Radium Hot Springs is a great basecamp for outdoor recreation, photography, and wildlife viewing opportunities such as the resident Bighorn sheep. Call our local High Country Vacation Rentals vacation experts now to discuss how to Find Your Peace in Radium Hot Springs today. High Country Vacation Rentals has over seventy vacation rental accommodations ranging from multi-bedroom condos and townhomes to lakefront cabins and private luxury homes. A High Country Vacation Rentals property has outstanding amenities like pools, hot tubs and barbecues. 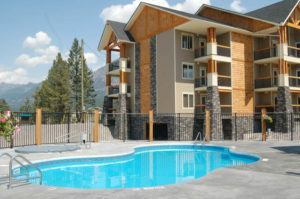 With vacation properties in Radium Hot Springs, Invermere on the Lake, Windermere, Panorama Mountain Resort, Fairmont Hot Springs, Kimberley Alpine Resort, and Fernie, whatever you have in mind, High Country Vacation Rentals has a vacation rental to accommodate your every need and expectation. All High Country Vacation Rental properties are close to local hot springs, beaches, golfing, hiking, biking, skiing and any other adventure you seek. Call our local High Country Vacation Rentals vacation experts now to discuss how to unwind in the Columbia Valley today.